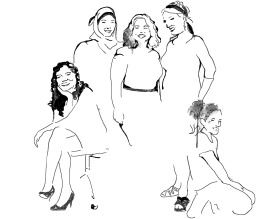 The Israel Women's Network is an independent, non-partisan organization that works to promote equality for women in Israel through legislation, policy change, legal services, education, and changing the public discourse on gender equality. research, promoting enforcement mechanisms, and more. 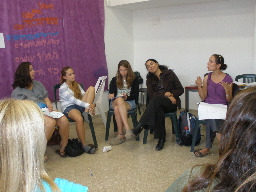 Focusing on tools that create wide-reaching change, the IWN takes a pro-active role in advocating women's rights in the Knesset, providing pro-bono legal aid on precedent setting cases. IWN has submitted a number of bills to the Knesset and many of them have passed into law. Since 2013, IWN’s Equal Pay Project has worked to minimize gender wage gaps in the Israeli workforce. and another which will substantially increase transparency of wage gaps in Israel, particularly in the public sector. IWN worked to change the definition of “birth” in the Social Security Act so it includes stillbirths from 22 weeks of pregnancy. This ensures that women who undergo stillbirths will be entitled to the same rights as those who give birth at week 26 or onward, including maternity leave and protective labor laws. IWN also won compensation in two cases for women who were wrongfully terminated due to pregnancy. The IWN submitted a case to the labor court on behalf of two female employees of the municipality of Jerusalem. The two women claimed they earned less than the men working beside them in similar positions. The court determined there were unjustifiable gaps in wages between the female and male employees, and the Court instructed the Municipality to submit an action plan to eliminate these wage gaps. Since its establishment, IWN has scored many successes, including: • Initiating laws such as the Sexual Harassment Prevention Law of 1998; • The establishment of the Commissionership of Equal Opportunities at Work at the Ministry of Trade and Industry; • Precedent-setting law suits fighting discrimination in the workplace; • Passage of an amendment to the Family Courts Law, thereby enabling Muslim and Christian women to settle matters of maintenance and custody in civil courts; • IWN was one of the founders of the coalition against the trafficking of women in 1997 and continues to work in that framework today; • Continuous operation of joint Arab and Jewish women’s coexistence groups.